I’m a coffee snob. I fully admit it. 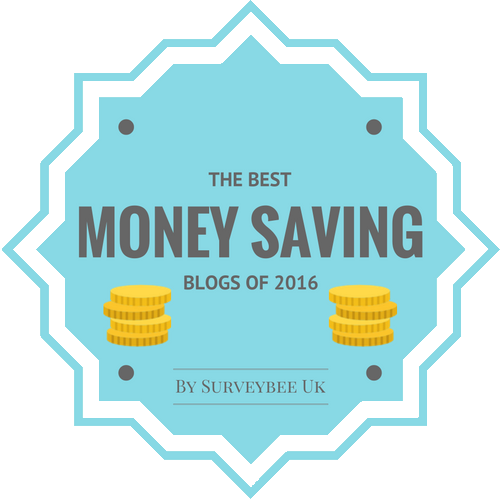 You know this by now if you’ve seen my coffee series here on the blog. I love my coffee. I have three different coffee machines at my house. It’s true. Depending on how much work I’m willing to do to get a good cup of java, that’s the machine I’ll use. I’ve stayed in a bunch of places on my travels with horrible coffeemakers. It makes me sad. If you’re a coffee lover like I am, a morning can be ruined by a terrible cup of coffee, or worse, no coffee at all. Since I can’t bring my full-size maker that I know works well when I travel, I have to improvise. Either I have to suffer through that bad cup of coffee or shell out $4+ for a cup at a nearby coffee shop. 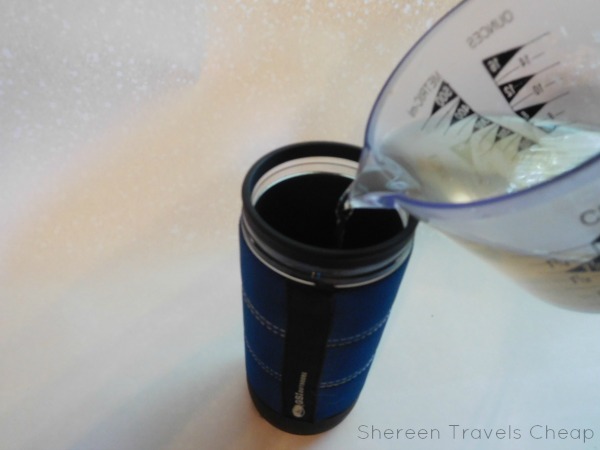 I put that on my splurge list and will indulge in one or two professionally-made cups on a trip. Well, now I don’t need to do that. 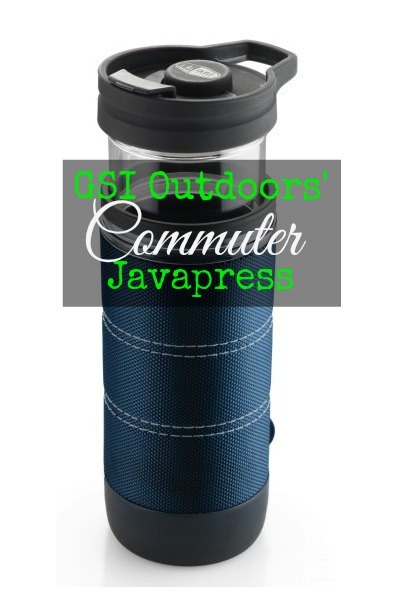 GSI Outdoors has created the Commuter Javapress, which is like taking your French Press (yum!) on the road with you. As the name implies, GSI Outdoors is specific for the nature loving folks, like hikers, campers and the like. Well, I rarely do those things, but I count trekking around a city seeing their landmarks and browsing the outdoor markets outdoorsy. 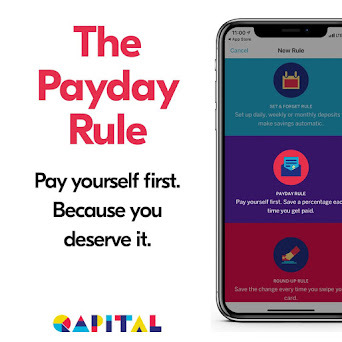 While it’s not difficult to get a cup of coffee to go doing this, I don’t want to shell out the money. You all know I tend to eat breakfast in my rental and then save my money for lunch and dinner. I do like to finish my coffee while wandering city though. The Commuter Javapress was made for someone like me (and, you know, those camping people who have to boil everything over a fire). 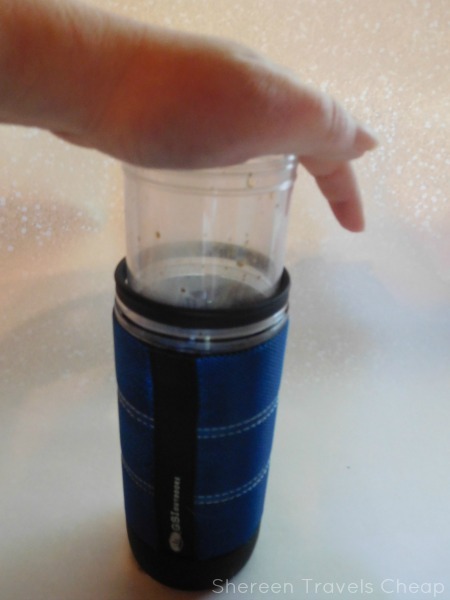 You put a scoop of ground coffee in the bottom of you tumbler, add hot water (you can heat it in the microwave), and then let it “steep” for several minutes before adding your mesh inner sleeve and pressing down, much like a French Press, but without the plunger. 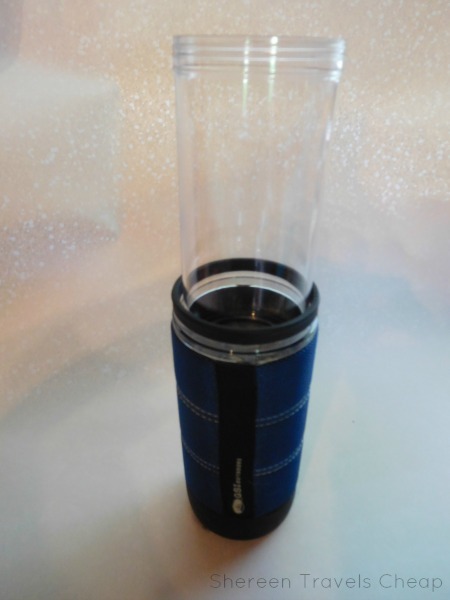 The mesh keeps your grounds from entering your drinkable beverage and also keeps your coffee a bit stronger. 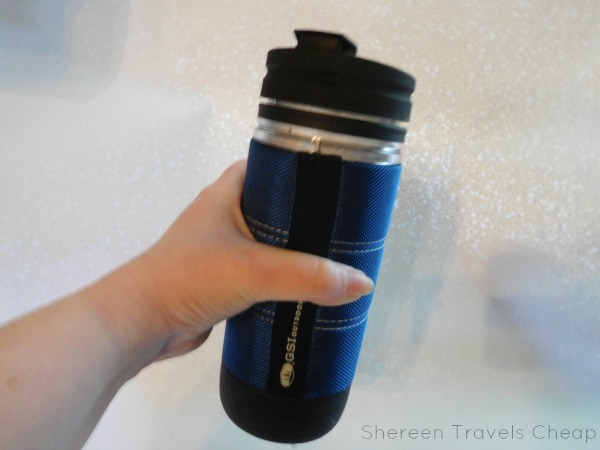 The colorful sleeve on the tumbler keeps it cool enough to hold and the double-wall construction keeps your coffee hotter longer. Because there's nothing worse than a cold cup of coffee when it started out hot. 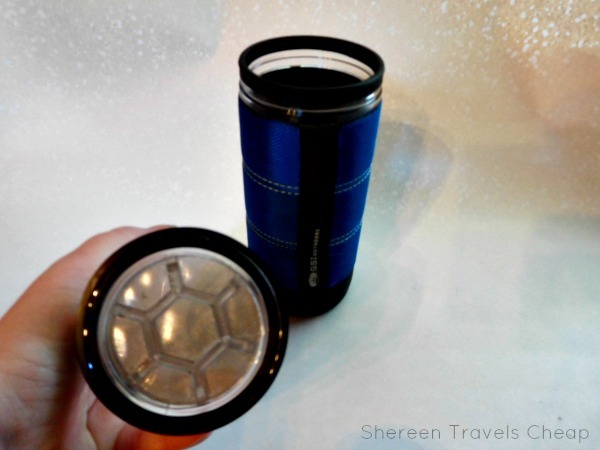 So, I tried it, hoping for the best, because travel tumblers are usually meh at the best of times, but was pleasantly surprised. The Javapress is easy to use. After adding my coffee and water (you can add up to 15oz of hot water), I put the plunging insert on top and let it sit for 5 minutes. Once I determined it was ready, I pushed the insert down, added some creamer, then plunged it a few more times to mix it well and save a spoon. 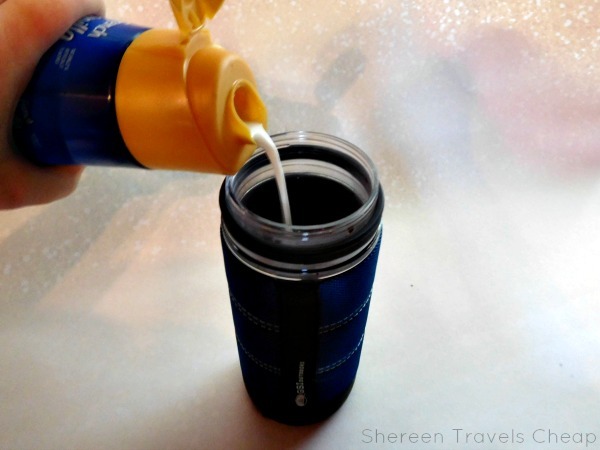 Once satisfied, I put the spill-proof top on and gave it a try. My coffee tasted almost exactly like that made in a formal coffeemaker! Also, after an hour or so, my coffee was still hot. 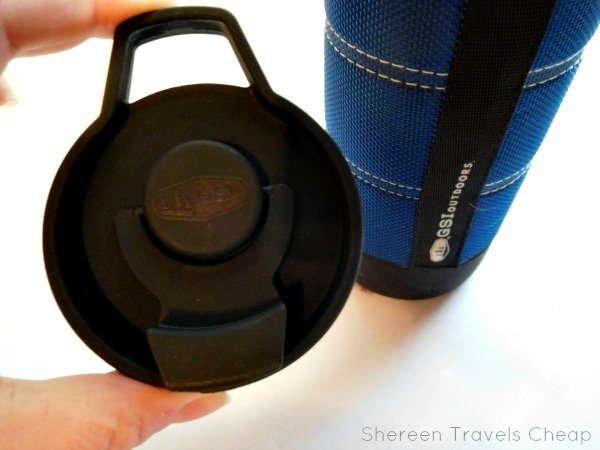 You don't have to just use this for coffee, but you could also use it for loose tea. 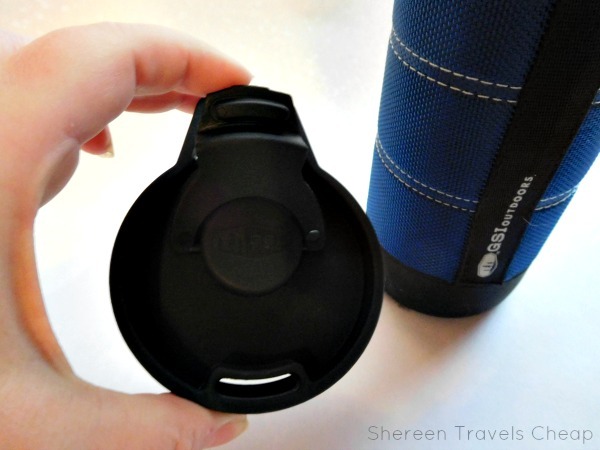 The insert with the mesh would allow your tea to steep, but also keep the leaves from invading your cuppa. When your morning's done, rinse the whole thing out and use it as a water tumbler while you're walking around town. You can pack this easier when you travel, by stuffing the inside with a bag full of your favorite ground coffee (and maybe sweetener you prefer). Overall, the Commuter Javapress is impressive. 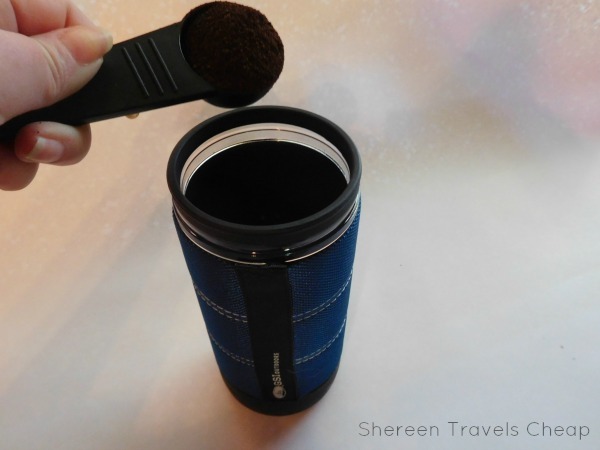 It does what it says it will do, it's easy to use, easy to clean and doesn't leak coffee all over your pants (oddly, this is a problem for a lot of travel mugs). I look forward to taking it with me on my next trips, so I'm not forced to endure a crappy cup of coffee anymore. Even Eric, who claims he doesn't "looooove" coffee, is going to be excited when he can enjoy a practically free cup on the go. Do you have a mom, dad or grad who's a coffee lover? Buy them this and some awesome coffee and you'll be their favorite person that they think of every time they have a perfect "cup".